I’ve been stationary for the past few weeks – and will remain in Trinidad and Tobago until Carnival has come (yay!) and gone (boo…) – so I decided to use this uninterrupted time at home to ‘Go. See. Explore.’ in my very own front yard. My sweet T&T has been surprising me with amazing mini-adventures for the past few weeks and I’m loving every minute of it! I have been to places I never even knew existed, seen things I never imagined were just a car ride away, and gained an even deeper sense of pride in the land I feel truly blessed to call ‘home’. 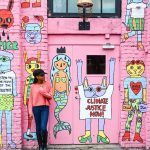 As I roam and discover, I’ve been sharing photos on Instagram and fielding a lot of questions about my twin island state. This led me to realize I had not one single blog post to share with all these curious minds. So I’ve decided to correct that, starting today, by sharing seven of my absolutely favorite things to do in Tobago. It promises a lifetime of happiness for couples who kiss under the water. I can’t vouch for any of the above but I do know that my skin always feels as smooth as a baby’s bottom after I’ve covered myself from neck to knee with the coral sand found in this area. NB: This activity is not ideal for people who suffer from sea sickness. No matter what anyone tells you, staring at the horizon may help (I have no clue) but it’s not fun. 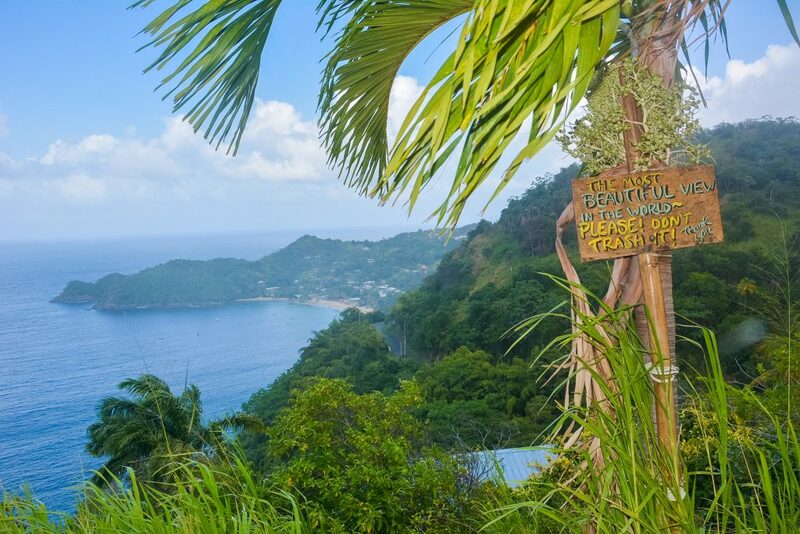 If water isn’t your thing, a road trip around the island might be just up your alley. Generally, I’m not a fan of driving but the sites you encounter along this journey make the effort worth it! There are two routes you can take – the Northside Road along the north coast, or the Windward Road along the south coast. Either option allows you to cut across the island via the Roxborough-Parlatuvier Road and head back down on the other side. 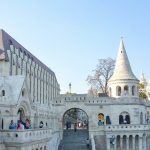 Both routes would take an hour or less without stops, but with so many attractions to discover along the way, you can easily spend a full day on the road. Personally, I prefer the northern route as you are able to visit several great bathing-beaches, including my favorite, Englishman’s Bay. Other notable stops are Castara Beach and Waterfall; as well as the Speyside lookout. Best of all, after you’ve worked up an appetite, you get to grab a tasty lunch at the legendary Jemma’s Sea View Kitchen, a ‘treehouse’ restaurant in Speyside. 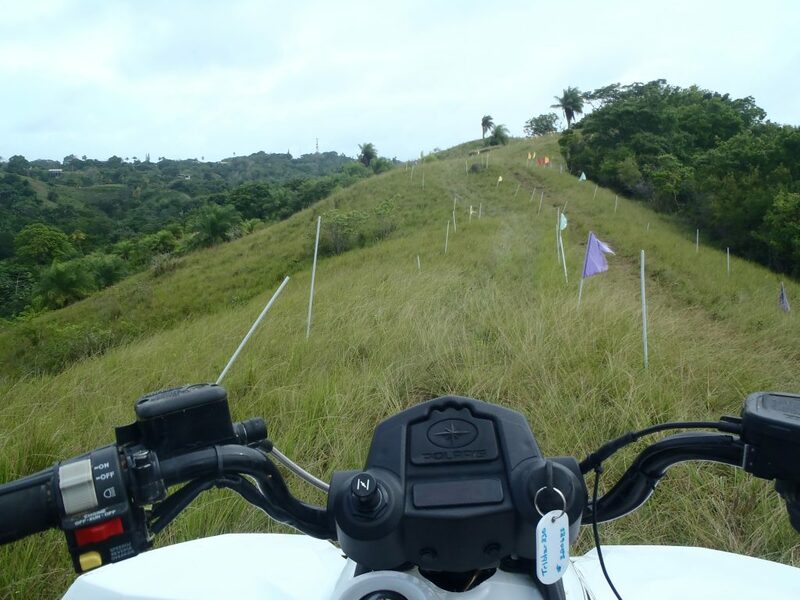 Climbing mountains with an All-Terrain Vehicle (ATV) isn’t the first thing that comes to mind when you think about Tobago, but it’s one of the most exciting things to do on the island. If you love being outdoors, don’t mind getting a little dirty, and have no fear of heights then you’d love this experience. Never driven an ATV before? No problem, the guys at NJM Fun Park will give you a thorough tutorial and a practice run around a track before you take off on this off-road adventure. The trail is relatively easy to navigate with a few intimidating spots along the way, but if I can do it, anyone can! The tour takes a little over an hour to complete and it delivers some pretty amazing views you’re unlikely to encounter anywhere else. 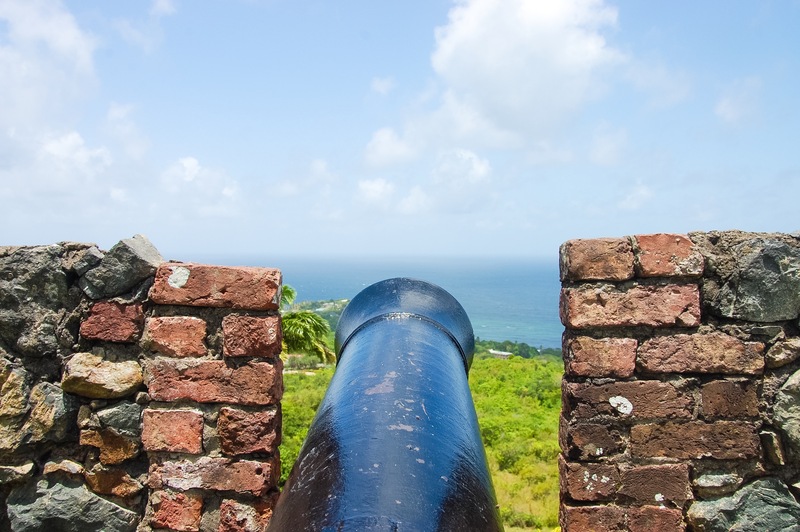 I love old structures and great views, and Tobago’s forts guarantee both. The island is small but it comes with a big history lesson. Tobago changed hands at least 33 times between 1498 to 1814 and if the walls of its forts could talk, they would have A LOT to say. The British, the French, the Spanish, and the Dutch are among the European powers that claimed possession of the island at one point or another. It’s no wonder then that, after approximately 300 years of wars, invasions and pirate sieges, the island’s 300km² has no less than eight forts. Whether you’re a history buff, just enjoy great vistas, or you’re looking for a dramatic backdrop to take those mandatory selfies, Tobago’s forts provide a scenic escape from the crowds. If you’re not opposed to roaming on your own, grab a map and conduct a self-guided tour of all these ruins, from the famous Fort King George to lesser known, but equally attractive locations like Fort Milford. I started diving when I was working and living in Tobago four years ago and I am eternally grateful to have this hobby in my life. Scuba diving is a relaxing exercise and Tobago’s gorgeous and varied dive sites make the escape beneath the waves that much sweeter! Whether you love exploring reefs or wrecks, you’ll thoroughly enjoy descending a few dozen feet below the ocean’s surface to take in these rare sites. Hawksbill turtles, stingrays, moray eels, nurse sharks and giant lobsters are among the larger creatures often spotted in the island’s waters. Even if you’ve never been diving before, the island has many dive shops that offer the Discover Dive experience for those interested in testing the waters, pun intended. Go brave and try diving at least one. 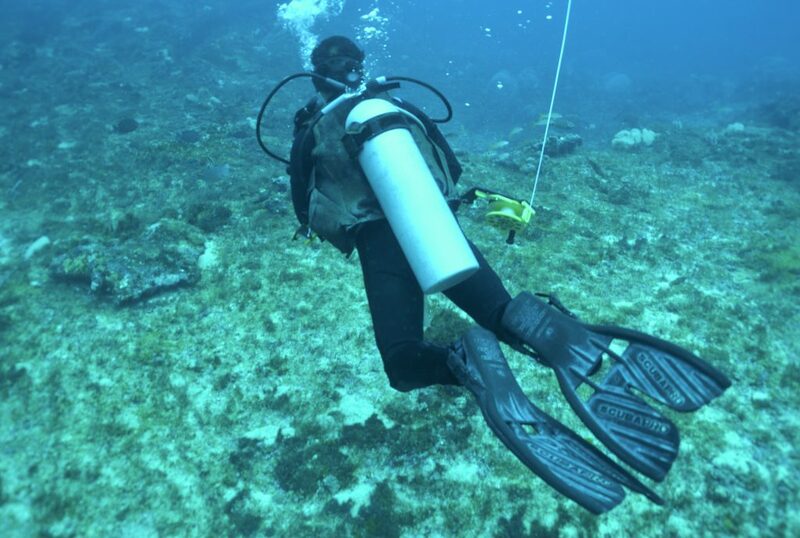 Think of how special it will feel to be among the lucky few to explore Tobago’s underwater landscape! The massive Main Ridge Forest Reserves is on record as the oldest legally protected forest reserve in the Western Hemisphere. The rainforest occupies 3,958 hectares of Tobago’s 316 km2 and it offers Tobagonians and visitors alike a vast amount of untamed real estate to explore. I don’t pretend to be a hiking fanatic but it is fun to slip into some boots, sling on a backpack and venture off-road for an invigorating trek every once in a while. The rainforest is home to hundreds of species of birds, making Tobago a very popular destination for avid birdwatchers. If you’re not into birding however, I still find the escape into the bushes therapeutic in its own special way. I thoroughly enjoyed navigating the winding trails, learning about the varied flora and fauna, and of course, ungracefully swinging from a vine to cross a puddle of mud! Naturally, it’s not the most comfortable excursion, but I promise it will be one you won’t soon forget. If you’re visiting Tobago, I forbid you to leave the island without your feet touching the powder soft sand of Pigeon Point Heritage Park. Without a doubt the most popular beach on the island, Pigeon Point has everything you need for a relaxing day of sun, sea and sand. The facility has two restaurants and bars, beach chairs and umbrellas available for rent, and spacious cabanas for those who arrive early enough to secure these prime spots. If you’re looking for some action, Radical Sports offers various water sports, including kite surfing and Stand Up Paddle. For those in the mood for a short tour, you can catch a glass bottom boat from the world famous Pigeon Point jetty to the Buccoo Reef and the Nylon Pool. It’s rare to find this beach without a crowd, but even on its busiest day you can’t help but appreciate the natural beauty of this stretch of coastline. 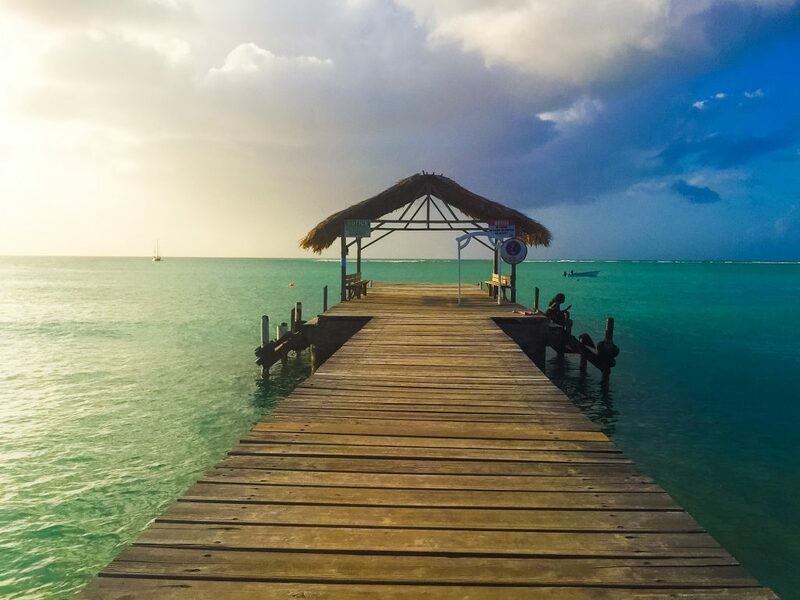 There you have it – my favorite things to do in my beauitful Tobago. 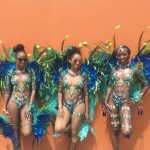 Stay tuned for more on T&T, including a local’s guide for both islands AND more Carnival 2017 coverage than you can handle! That ATV tour sounds like fun. I did a similar thing in Svalbard, which involved going up and down mountains on icy roads – a wee bit scary! Wish I could go scuba diving, but alas, my ears will not pressurise. Enjoy Carnival! It looks so beautiful! I think I would be happy just laying on one of those gorgeous beaches and enjoying the view. My favorite would be the pigeon point beach and the day long walk along the beach. Really, that beach looks so lovely, I could walk forever along it’s coast. Pigeon Point is perfection! You’d love it! This post is absolutely killing me! I’m in dire need of a tropical vacation like this and T&T looks like the perfect place for that. Those beaches! That diving! That coastal tour! I’m dying! Gorgeous photos and a great review! 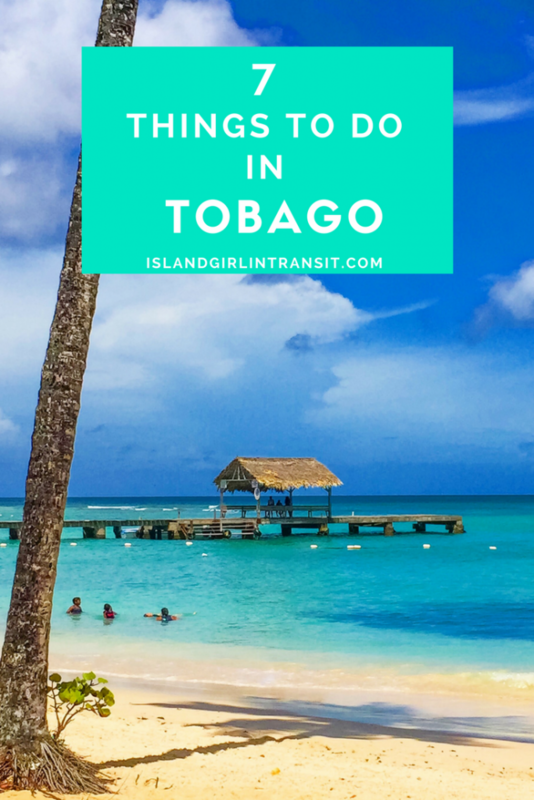 Anyone would be crazy not to put Tobago on their list. I would love to go underwater in this place!! A little piece of paradise. Would love to do the hiking through the forest reserve and do some bird watching. Just looks like a pretty cool place to explore, I’ll have to check it out. Thanks for sharing your fun adventure. That’s awesome! Small world! I absolutely love the forts and Pigeon Point is my fave spot. Hopefully you get to visit again soon! That place looks gorgeous!! Def on my travel list! I love the rainforest. Through a little beach in there and that sounds like quite the fantastic day for me! 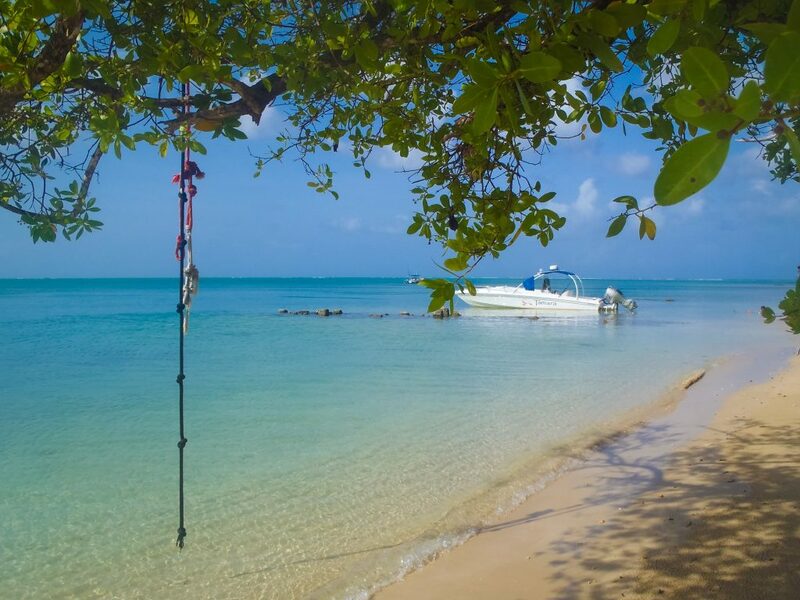 Tobago looks like a dream! There’s a beach not to far from the rainforest so you can easily get a hike in and then relax on the beach afterward. Perfection! Wow! These photos have me seriously yearning for an Island vacation. Thanks for sharing these great ideas. I’ve filed them away and hope to use them in the very near future. cant believe its just 15 minutes away makes me want to jump on a plane and take a week over there! i get sea sick it seems so the boat ride was aweful for me but well worth it to see the reef! and the beaches are totally amazing!!!!! Great tips! I would love to visit one day. 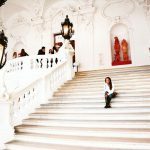 Those photos are beautiful, they are making me what to take vacation! Never thought about going there, definitely will keep that in mind! Lol hopefully the temps start to warm up for you guys soon! So mesmerised by the beauty of Tobago! Everything you just explained seems to deliver its own kind of adventure and excitement. I have already added this place to my checklist. Happy to hear you’re considering a visit! Wow absolutely beautiful here! We love going on the boat and tour islands from the water. 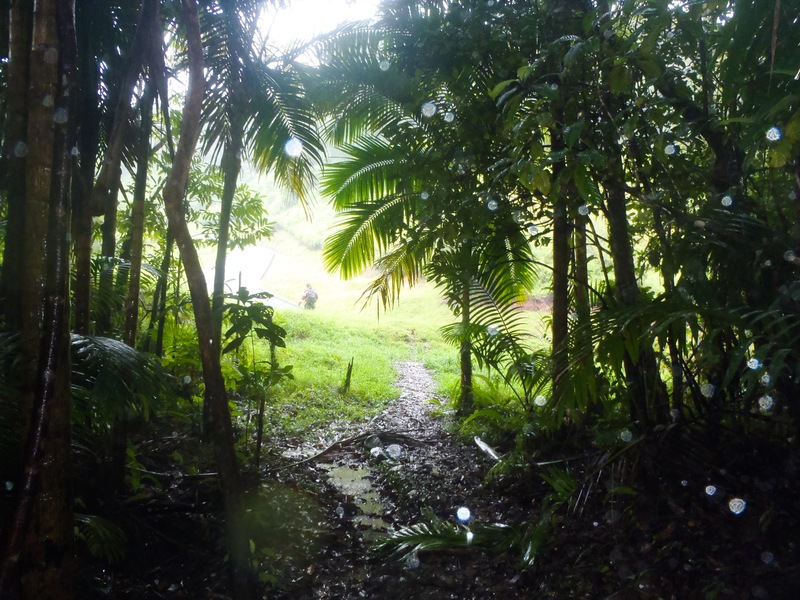 We would definitely do that activity as well as the ATV and hiking in the rainforest. Great list of things to do! The place is amazing, lovely getaway! I want to be at Pigeon Point Beach right now! 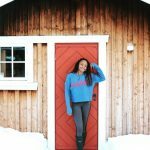 This post makes me want to explore my state more! It also fills me with envy of what a beautiful place you call home!